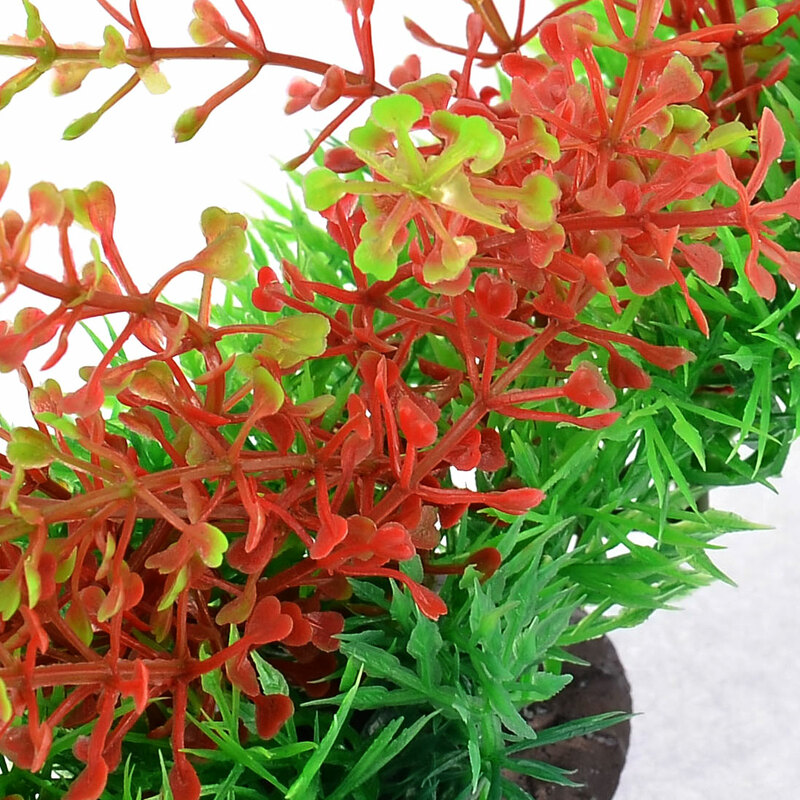 Artificial underwater plant for fish tank aquarium decoration. Ceramic base, green plastic plant decor, easy to clean. Provide an excellent hiding place for fish. c. to avoid leaving feces on the plastic plants that hurt the fish, it is recommended to clean the plants once a week. Because of the fired ceramics,it allowed a litte crack in the base.